Often included in traditional wedding vows, the portion that requires women to “obey” their husbands is rooted in centuries-old Christian beliefs and social rules. As women gained greater freedoms, the subservient word has become a controversial topic. Although few couples opt to include "obey" in their binding vows, some view the word as an important part of the marital relationship. Historians note that the original wording that required women to obey their husbands likely originated among the ancient Romans, who viewed females as the property of first their fathers than their husbands. As the seat of Christianity, this social rule traveled from Rome to other regions of Europe, maintaining its status quo from the Middles Ages until the women's suffragist movement. The most commonly cited reason for including the word obey in the wedding vows comes from Ephesians 5:21-24: "Submit to one another out of reverence for Christ. Wives, submit yourselves to your own husbands as you do to the Lord. For the husband is the head of the wife as Christ is the head of the church, his body, of which he is the Savior. Now as the church submits to Christ, so also wives should submit to their husbands in everything." The women’s suffragist movement achieved sweeping changes, including encouraging the Church of England to offer an alternative to the biased vow in 1928. 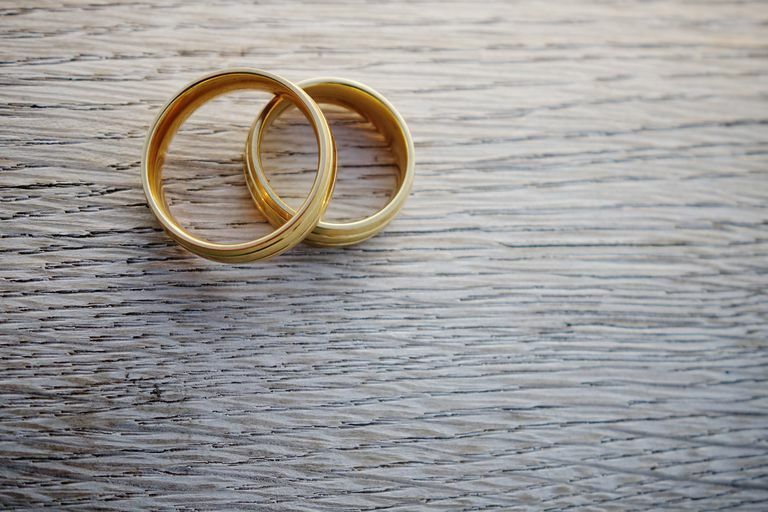 An updated yet unauthorized version of the Book of Common Prayer suggested that the bride and groom could recite the original vows or both promise to simply “love and cherish” each other. The word was dropped from Episcopal marriage ceremonies six years earlier. The word once again came under scrutiny in the U.S. during the 1960s, when it virtually vanished from American Christian ceremonies. Through a historical lens, the promise to obey a husband carries negative connotations. The majority of modern women continue to interpret the meaning of the word as submission of free will. However, some Christian women are embracing the wording once again, viewing the vow as a pledge to respect the wishes of their husbands. It is not a sign of weakness but rather an unwavering declaration of trust and unconditional support in the man's role as head of the household. Since this is a precious gift, husbands must approach this vow with pure intentions, careful of only standing firm on things that deeply matter and only after seriously considering his wife’s opinion. The above quoted Ephesians passage goes on to list the many responsibilities husbands have to their wives (5:25-33). When he takes his responsibility as leader seriously, brides argue, then promising to obey becomes an easy choice. Some brides choose to interpret obey as meaning to uphold the values of the vows and to respect the relationship. Other couples opt to degender the traditional vow by both promising to obey. This option reflects the equality expected in the relationship, the mutual responsibility the bride and groom both have to protect, cherish and love each other. Numerous brides have reported online, including Ayanna Black her blog, "Should Obey Be In Your Marriage Vows?" that the first time they heard the vow was at the altar. Most Christian churches provide alternatives for the wedding vows, so it is crucial that couples carefully consider the meaning behind the words before making the promise.